Because of their confidence with authority figures, millennials are far more critical of poor workplace cultures. If they can’t see themselves developing mutually respectful relationships with their leaders, then they’re far less likely to respond to the new skills they are being taught. According to restaurant trainer David Hayden, "When you're teaching millennials, you have to mentor them, not manage them. When you do that, they will remain loyal, and they will want to learn more from your company." Pizza and taproom franchise Old Chicago has moved away from paper-based training to tablet training. 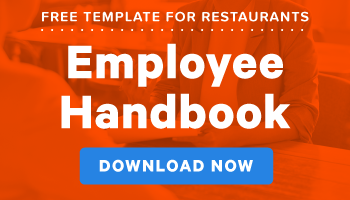 Kitchen staff, for example, can log in on a tablet while working at a prep table, look at a recipe, and find the answers they need without going to a manager. Not only does this answer millennials’ need for independence, but it also reduces the costs associated with printing and distributing training materials. Pep Boys, an automotive repair chain (stay with me here), tried to teach its staff about policy and safety compliance, but they kept forgetting what they learned. So Pep Boys started sending out short daily quizzes on company policies. If people got the answers right, they won points that could be used towards prizes, like Amazon gift cards. Think about how much time young people spend on their phones playing Candy Crush. If you can use that urge to play games to your advantage, you will entertain them and teach them something.